Are you familiar with the feeling of walking into a brick-and-mortar casino, the excitement you experience when seeing the felt-lined tables hosted by discreet croupiers and dealers, and hearing the unique sounds which unmistakably mean you’re about to engage in an adrenaline-pumping, highly engaging and potentially financially rewarding activity? If so, I totally get you. And while there’s not much that can 100% replicate this experience, casino software developers are becoming increasingly good at getting pretty darn close. Either offering live games as part of their gaming portfolios, or developing exclusively land-based casino online substitutes, their products offer us a welcome alternative to putting our frocks on and sitting behind a wheel in order to get the needed adrenalin rush provided by a live roulette, blackjack, poker or baccarat game. You may or may not have a preferred choice when it comes to live gaming providers. Perhaps you’ve tested some, but not the others? To help you make an easier decision on what and where to play, we’ve explored the current offerings provided by the top developers in this area. 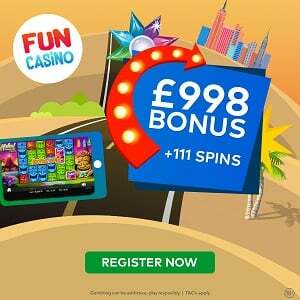 This time I’m taking a look at Playtech, a company which has been in business for more than 15 years and today powers 200+ casinos and offers a huge range of games across different categories. 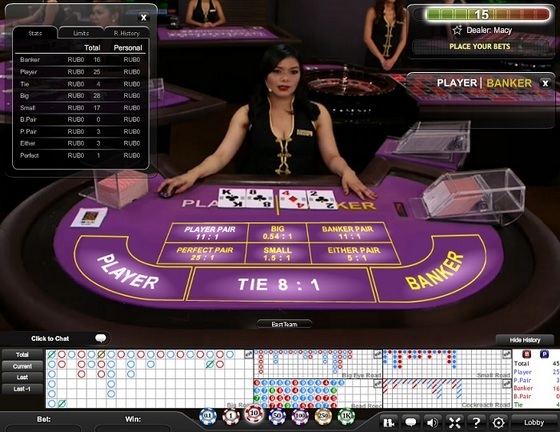 Like some of their competitors, they have also recognised the need for an online live gaming option, and have subsequently in 2009 created the PlaytechTV trademark which offers live casino tables and TV game shows, broadcasted to both TV and Web. There’s no doubt they are good, but let’s see how well do they measure up to our expectations. One point in their favour is certainly the ability to offer an option for each of the popular table games, those being Roulette, Blackjack, Poker and Baccarat, plus a number of unique ones. 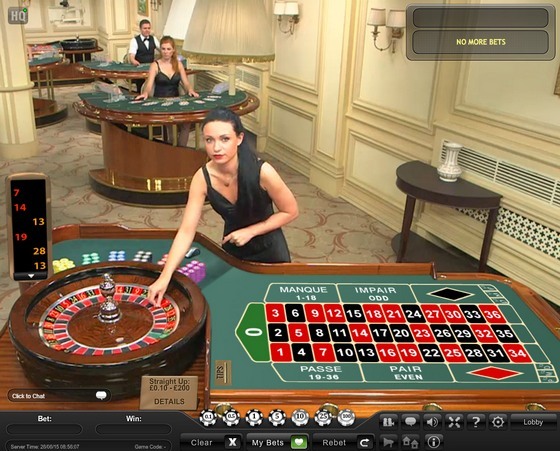 Playtech European and French Roulette are streamed from a live studio in Latvia. French version features La Partage Rule, meaning that players will lose only half of their even-money bets when the ball lands on zero. Auto-roulette is not hosted by a live dealer, but unlike instant-play games which use an RNG to decide what the outcome will be, in this type of game the ball abides by the laws of physics. This live Roulette variant offers speedy play and accepts lower bets, allowing your bankroll to last longer. Prestige Roulette was launched with an aim to give players the VIP treatment, giving you the power to switch between camera angles, watch an instant replay after a win, and hide the betting table to focus on the ball as it bounces round the wheel. Dual Roulette is an innovative variation which allows you to play at two tables simultaneously, and even replicate the bet you’ve placed on one of tables onto the other. When it comes to Blackjack games, Playtech provides two basic variants, both allowing Pair side bets, namely player and dealer Red/Black, Coloured Pair and Perfect Pair. Live Dealer Unlimited Blackjack is an alternative you can use when standard tables are fully occupied, as it can accommodate an endless number of players at any time. Not long ago the company has also launched 21+3 Blackjack side bet which wins when the player’s two cards and the dealer’s up-card form a straight, flush, three-of-a-kind, straight flush or suited three-of-a-kind. James Bond’s favourite casino game comes in a few forms. On top of the standard Player, Banker and Tie bets, they will also offer you to place Big and Small side bets, as well as Pairs side bets. Live Mini Baccarat is a standard variant designed to accommodate only one player at a time. VIP Baccarat is a high roller version which gives the opportunity to the player with the largest bet to peak at hidden cards and be the first to find out what the outcome is. A few months ago they’ve launched Prestige Baccarat, with five dynamic camera views focusing on the ‘Squeeze’ element, plus a chance to replay winning hands. 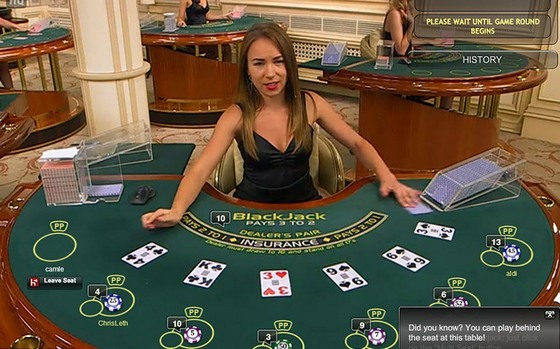 And now Playtech becomes a bit different to other live gaming providers. Their Casino Hold’em is a player-vs-casino game and comes with an AA side bet which wins if your first five cards include Aces or better. Sic Bo, the traditional Chinese dice game, is streamed from the studio in Manila, features high betting limits and supports a wide range of betting options. Playtech is one of the few developers (as far as I know there are only two currently) which provide Live Dealer Craps. Live Hi-Lo is played with a deck of twelve cards with 10’s removed, and the objective of the game is to guess the value of the next card, in comparison to the base card. In 2003, aiming to cater to Asian markets, Playtech started broadcasting their games from the studio in Philippines, and in 2009 they have added a studio in Latvia which offers games targeted at Europeans. The company has also signed a deal with Casino Gran Madrid, one of the most prestigious casinos in Europe, and now additionally delivers live dealer games broadcasted from this location, thus providing a more realistic experience. Playtech games come feature-rich and with an intuitive interface, and while quality of video is high, it will vary depending on your connection speed. Recent game history is displayed to the right of video feed, showing you what the recently spun numbers are, but you can also opt to hide it. Professional, well-trained and friendly dealers are happy to communicate using the chat feature, while a chat box is there to allow interaction with other players “seated” at the same table. Localisation is done by recruiting dealers and croupiers who are native British, Italian and Spanish speakers. Owners of iOS and Android devices will get to access the full range of live games when on the go. What has been dubbed “the best-in-class HTML5 Roulette game”, allows gamers to play the game on various mobile devices in either portrait or landscape mode, see their bets while the wheel is spinning and enjoy a user-friendly interface with a personalised view of live action. 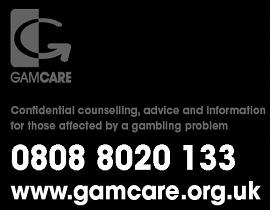 Playtech is licensed by the Isle of Man GSC and the UK Gambling Commission, which should be reassuring enough when it comes to safety and fair gaming. This developer has plenty to offer, both in terms of quantity as well as quality, so make sure to give their games a try at William Hill, Paddy Power or William Hill.